Most progressives would agree that opposing all forms of racism is a key element of what makes them left wing. But it is not always straightforward how best to confront white privilege, avoid cultural appropriation, tackle colonial attitudes towards indigenous peoples or avoid being labelled anti-Jewish when working for Palestinian human rights. And in the later case, accusations of Left anti-Semitism actually mask a more significant racism problem on the Left. In response to the recent controversy at Chicago’s Dyke March Toronto activist Alex Hundert tweeted “And to think ppl keep tryna ridicule me for calling out #antisemitism on the Left… #leftfail.” The self-declared radical linked to a Ha’aretz story headlined “Chicago ‘Dyke March’ Bans Jewish Pride Flags: ‘They Made People Feel Unsafe’”. But according to march organizers, Jewish Voices for Peace and Electronic Intifada the whole thing was a set-up and part of an orchestrated attack by a pro-Israel queer group. Hundert is echoing an increasingly common refrain. Last year, at the liberal end of the dominant media the CBC’s Neil MacDonald asked, “Has the activist left decided anti-Semitism doesn’t exist?” while the far right Rebel denounced “Tom Mulcair, Olivia Chow and the NDP’s huge anti-Semitic problem”. For its part, B’nai Brith has specifically cited “far-left-wing groups”, alongside “anti-Israel agitators”, as a major source of anti-Semitic incidents in its annual audit. During the 2012 Québec student strike B’nai B’rith condemned protesters’ purported “hate …that has outraged the Jewish community.” A Canadian Jewish News editorial and front page cover about the NDP supporting the Leap Manifesto in 2016 suggests the Jewish community’s leading organ would likely cry “anti-Semitism” if the NDP elects a left-wing leader. Internationally Zionist groups, media commentators and Blairites in the British Labour Party whipped up an “anti-Semitism” crisis last year to undermine Jeremy Corbyn’s leadership. Similar accusations were levelled earlier this year at leftist French presidential candidate Jean-Luc Melenchon and previously against Venezuela’s Hugo Chavez. Let me be clear: Anti-Jewish prejudice exists on the Left. Many who bemoan “Zionist controlled governments” and other such formulations are referencing stereotypical tropes about Jewish control. Some ‘Jews as Jesus killers’ prejudice also lingers in a country with Christian (colonial) roots. Anti-Semitism should be condemned since all forms of ethnic/religious discrimination are wrong. Additionally, simplistic ethnic/religious explanations of power do a disservice to movements seeking to make the world better a place. But, while it exists, left anti-Jewish prejudice should be put in context. Is there more anti-Jewish prejudice on the Left than anti-black, indigenous, south Asian, Chinese, etc. racism? Or how about patriarchal attitudes? Or even class bias against “unskilled” workers? But, unlike indigenous or black people or women, Jews are not underrepresented in positions of influence on the Canadian Left, just as they are not underrepresented in the structures of power in this country. So, what is going on with this focus on the Left’s anti-Semitism? The answer is obvious. It is a way for supporters of Israel to shut down criticism of that country. While one hears a great deal about the relatively marginal problem of left anti-Semitism, explicit Jewish/Israeli supremacism passes with little comment. NDP officials, for instance, continue to promote the openly racist Jewish National Fund. Five months after speaking at the annual American Israel Public Affairs Committee (AIPAC) conference in Washington D.C., Hélène Laverdière participated in a November 2016 JNF tree planting ceremony in Jerusalem. During a visit to Israel with Canada’s Governor General the NDP’s foreign critic attended a ceremony with JNF World Chairman Danny Atar. In 2011 Nova Scotia NDP Premier Darrell Dexter donned a JNF hat as he planted a tree at a JNF garden. Manitoba NDP Premier Gary Doer was honoured at a 2006 JNF Negev Dinner in Winnipeg and cabinet minister Christine Melnick received the same honour in 2011. During a 2010 trip to Israel subsequent Manitoba NDP Premier Greg Selinger signed an accord with the JNF while water stewardship minister Melnick spoke at the opening ceremony for a park built in Jaffa by the JNF, Tel Aviv Foundation and Manitoba-Israel Shared Values Roundtable. (In May Melnick won a B’nai Brith Zionist action figures prize for writing a piece about a friend who helped conquer East Jerusalem and then later joined the JNF). In 2013 Green Party leader Elizabeth May attended a JNF Ottawa fundraiser, even lauding “the greatwork that’s [the JNF] done in making the desert bloom.” May’s comment erased the existence of the indigenous Palestinians and promoted an explicitly racist institution that has Judaized historically Arab areas and continues to discriminate against Palestinian citizens of Israel in its land use policies, as the UN, US State Department and the organization’s own website make clear. While less flagrantly supremacist than supporting the JNF, most left politicians, representatives and commentators express support for a “Jewish state”. From a Palestinian, or internationalist, perspective this is a decidedly racist characterization and goes against hundreds of years of left support for a secular state. In an effort to appease critics, some left organizations have even stated formally that opposing a Jewish supremacist state is itself a form of discrimination. After being raked over the coals for refusing a politicized resolution calling on it to align with a pro-Israel group in promoting Holocaust Education Week, the Ryerson Student Union recently adopted the spurious “Ottawa Protocol on Combating Anti-Semitism” as part of its definition of anti-Jewish prejudice. The Protocol conflates opposition to political Zionism with anti-Jewish prejudice or, in other words, it says it is anti-Semitic to oppose a “Jewish state”. Promoted by Students Supporting Israel and Stand With Us Canada, the student union’s move was immediately applauded by staunch Israeli nationalist National Post columnist Barbara Kay. Even individuals and groups focused on challenging racism often provide an exemption for explicit Jewish/Israeli racism. In January one of Toronto’s leading anti-racist writers, Desmond Cole, spoke at a forum on “increased racist and xenophobic attacks” in the time of Trump with three individuals (Bernie Farber, Karen Mock and Warren Kinsella) who have ties to the only (to my knowledge) explicitly racist institution sanctioned by the Canadian state to give tax write-offs: the JNF. After I recently wrote about Warren Kinsella speaking at a Jewish Defense League meeting in 2009, it came to light that a moderator made the former Canada-Israel Committee board member part of a private Toronto Facebook group set up to oppose overtly racist groups like the JDL. In a sign he still condones explicit racism, last year Kinsella condemned a Green Party of Canada resolution calling on the Canada Revenue Agency to rescind the JNF’s charitable status because of its “discrimination against non-Jews in Israel.” (Imagine someone who spoke at a KKK meeting or defended them being invited to a private antiracist Facebook group.) The sober reality is that large swaths of the left still accept, even promote, explicit Jewish/Israeli racism. When Hundert, Macdonald, B’nai Brith etc. attack the left for being anti-Jewish they reinforce an ideological climate that still sees many labour leaders, NGO representatives, left politicians etc. remaining silent in the face of substantial Canadian support for the most aggressive ongoing European settler colonialism, precisely because they fear being labeled “anti-Semitic”. Whatever one’s motives in launching these attacks on anti-Semitism, their effect is to deter Canadians from condemning our foreign minister for calling Israel a “close friend”, opposing Palestinian rights at the UN, delivering aid to prop up Israel’s illegal occupation and subsidizing charities that channel tens of millions of dollars to projects supporting Israel’s powerful military, racist institutions and illegal settlements. In George Orwell’s 1949 dystopian novel 1984, the protagonist Winston Smith’s job was to delve into The Times of London archive and rewrite stories that could cause trouble for the totalitarian government ruling Britain. For instance, if the government made a prediction of wheat or automobile production in their five-year plan and that prediction did not come true, Winston would go into the archives and “correct” the numbers in the article on record. 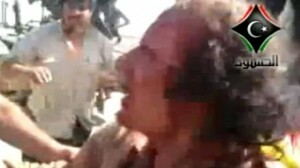 Ousted Libyan leader Muammar Gaddafi shortly before his murder Oct. 20, 2011. British newspapers widely covered the story. As did the International Edition of CNN, which has separate editors from CNN’s U.S. website. An online search found no domestic CNN story. There’s also no video online indicating that CNN domestic or CNN International television reported the story. It is as black mark on the Congress’ two foreign affairs committees that neither undertook a similar inquiry (although congressional Republicans did obsess over the Sept. 11, 2012 attack on the U.S. consulate in Benghazi, which occurred about a year after the Obama administration facilitated the military overthrow and brutal murder of Libyan leader Muammar Gaddafi). “In the face of the world’s condemnation, [Libyan leader Moammar] Qadhafi chose to escalate his attacks, launching a military campaign against the Libyan people,” President Barack Obama told the nation on March 28, 2011. Mass demonstrations have erupted across Hamburg, Germany, as world leaders gather for the G20 summit, where President Donald Trump is meeting with other world leaders. About 100,000 protesters took to the streets and have staged sit-ins in an attempt to disrupt the first day of the summit. Police fired water cannons, pepper spray and stun grenades to disperse protesters. Key issues on the G20 agenda include climate change, trade and North Korea. Protesters who gathered say the G20 has failed to solve many issues, including climate change and global economic disparities. We speak with philosopher Srecko Horvat, who is taking part in the G20 alternative summit, known as the Global Solidarity Summit. He is the co-founder of the Democracy in Europe Movement, also known as DiEM25. SREĆKO HORVAT: Hello, Amy. I am really glad to be here, from the streets of Hamburg. 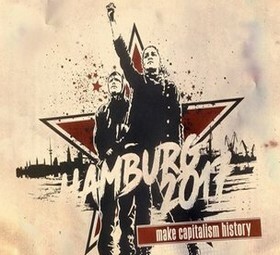 And welcome to Hamburg, as well. Well, I’ve been to many protests all around the world, from Occupy Wall Street at Zuccotti Park—you remember that times—to Tahrir Square, Syntagma Square, where we’re with 50,000 people during the OXI referendum. But I’ve never seen such a big amount of heavily armed police, drones, helicopters, water cannon and so on, as I have seen on the streets of Hamburg yesterday, today and probably also tomorrow. This summit costs around 50 million euros, and it’s happening in one of the biggest cities in Germany. What we could have seen in the—during the last days is that this is really turning into something what the German legal philosopher Carl Schmitt would call Ausnahmezustand—namely, state of exception—which means that civil liberties, even peaceful protests, are approached by violent police actions and so on. This is the reason why I call it a dystopia. Trump Tells Russia to Stop 'Destabilizing' Ukraine, But What's Really Going On? Western powers fuel the Ukrainian conflict -- and wider tensions with Russia -- by treating Ukraine as a strategic prize, says Nicolai Petro, Silvia-Chandley professor of Peace Studies and Nonviolence at the University of Rhode Island. Nicolai N. Petro is the Silvia-Chandley Professor of Peace Studies and Nonviolence at the University of Rhode Island. He is currently joining us from Odessa, Ukraine. 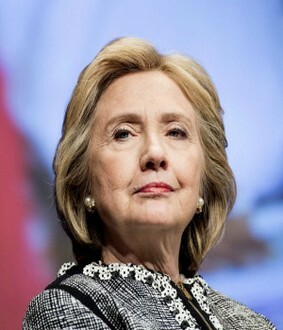 He served as special assistant for policy toward the Soviet Union in the U.S. Department of State from 1989 to 1990. He has received many fellowships, including two Fulbright awards (one to Russia and one to Ukraine). He comments frequently about Russia and Ukraine, and his latest book, Ukraine in Crisis, was published this month by Routledge. Is Bezos’s outward giddiness a worrisome reflection of what Bezos is feeling on the inside? Is he laughing at all of us? Is Bezos laughing at the tax collectors, having avoided paying most states’ sales taxes for years on all the billions of books he sold online, thereby giving him an immediate 6 to 9 percent price advantage over brick-and-mortar bookstores, that also paid property taxes to support local schools and public facilities? That, and being an early online bookseller, gave Bezos his crucial foothold, along with other forms of tax avoidance that big companies utilize. Is Bezos laughing at the bureaucratic labor unions, that somehow can’t get a new handle on organizing the tens of thousands of exploited blue collar workers crying for help in Amazon warehouses and other stress-driven installations? With a net-worth over $80 billion, why should he worry? Is Bezos laughing at the giant retailers, who are closing hundreds of stores because their thin margins cannot withstand Amazon’s predatory pricing? Is Bezos laughing at the Justice Department’s Antitrust Division which, before Trump, was studying how old antitrust laws could be used to challenge monopolizing Molochs such as Amazon in the 21st century? It is time for antitrust officials to explore new regulatory actions and modern legislation to deal with today’s conglomerates. Is Bezos laughing at Main Street, USA which he is in the process of hollowing out; along with nearby shopping malls who can’t figure out how to supersede the convenience of online shopping with convivial ground shopping experience? Is Bezos laughing at Walmart, bestirring itself, which is starting to feel like giant Sears Roebuck did before Walmart’s relentless practices caught up and crushed what is now a shrunken, fragile Sears? Is Bezos laughing at the United States Postal Service, to which he has given – for the time being – much business for shipping Amazon’s packages? Bezos has no intention of this being a long term arrangement. Imagine Amazon with its own fleet of driverless vehicles and drones. Amazon is already using part-time workers to deliver its wares. 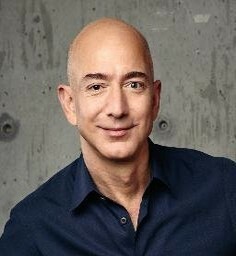 Is Bezos laughing at the Washington Post, which he bought for a song in 2014 while he was holding down a large contract with the CIA and other government agencies? Is Bezos laughing at Alibaba, the huge (bigger than Amazon) Chinese online seller that is trying but failing to get a toehold in the US market? It is hard to match Amazon’s ruthlessness on its home turf. Is Bezos laughing at people’s manipulated susceptibility for convenience, hooking them with $99 a year for free shipping? Ordering from their computer or cell phone for speedy delivery to sedentary living, Amazon’s customers are robbed of the experience of actively going to local businesses where they can personally engage with others, get offered on the spot bargains and build relationships for all kinds of social, civic and charitable activities. Is Bezos laughing at many millions of Amazon customers who think temporary discounts and minor shipping convenience can make up for the billions of tax dollars Amazon has learned to avoid and the thousands of small business competitors whose closures shrink the local property tax base that supports schools and other essential public services? As Amazon spreads around the world selling everything and squeezing other businesses that use its platform, is Bezos laughing at humanity? His ultimate objective seems to preside over a mega-trillion dollar global juggernaut that is largely automated, except for that man at the top with the booming laugh who rules over the means by which we consume everything from goods, to media, to groceries. Crushing competitors, history shows, is leads to raising prices by monopolizers. Consumers, workers and retailers alike must be on higher alert and address this growing threat. You have nothing to lose except Bezos’s tightening algorithmic chains. To start the conversation, you can wait for Franklin Foer’s new book out this September, titled World Without a Mind: The Existential Threat of Big Tech. Until then, a good substitute is his 2014 article in The New Republic, Amazon Must be Stopped. Pingos may sound cute, but they are not cute, even though they start out as small, kinda cute, mounds of earth. Rather, they are monsters from the depths. Whether pingos are threatening is a stimulating question scientists are still trying to figure out; they're suddenly popping up in the darnedest places! Pingos are one more solid piece of evidence global warming is a real threat to humanity. Global warming is quintessentially part of the Great Acceleration. “This is really a new thing to permafrost science. It has not been reported in the literature before,” Ibid. Romanovsky estimates there could be as many as 100,000 “alternative pingos” (smaller than regular pingos) across the entire Arctic permafrost. Scientists have little doubt that human-caused global warming is the culprit behind sudden eruptions of pingos, what else could possibly account for the extreme rapid melting of permafrost: “It’s definitely related to warming,” Romanovsky said. 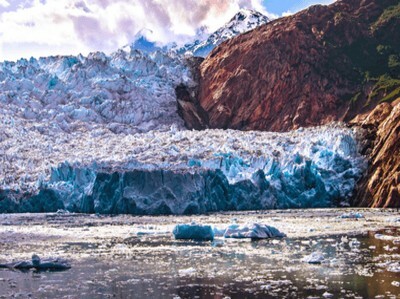 “If these solid chunks warm up and decompose — and the Arctic region is heating up at a rate double the rest of the planet — the methane gas within the alternative pingo builds up.” Ibid. 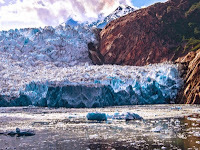 The National Academy of Sciences carried an article about pingos Postglacial Response of Arctic Ocean Gas Hydrates to Climatic Amelioration, Proceedings of the National Academy of Sciences, vol. 114, No. 24, Pavel Serov. Syria’s worst drought in 900-years lasted 5 years just prior to the onset of armed conflict, driving 1.5 million farmers and herders off their parched land into the cities, migrating/searching for sustenance. Ever since war started, they’ve been re-migrating out of the cities to Turkey, Mediterranean states, and all across Europe, except for Poland, Hungary, and Czech Republic, which refuse. 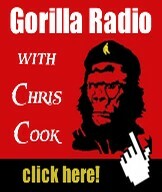 Global warming/armed conflicts cause people to do crazy things. What of pingos? Do they pose a threat to humanity? Maybe yes, maybe no, it’s too early to know for certain. After all, the sudden eruptions of weird perfectly round, smooth craters in the northernmost latitudes has only recently popped-up, exploding upwards from within Earth, forming craters that make people scratch their heads in disbelief whilst reflecting, hmm! If we did not have anthropogenic (human-caused) global warming, pingos would not suddenly be ubiquitous, and there would be no reason to write this article. However, thousands of earthen hills have been popping-up in the lower Arctic regions. The operative question therefore is whether pingos, by releasing methane, will accelerate global warming, leading to way too much heat, and runaway global warming, resulting in burnout of agriculture. Then, starvation sets in for millions, maybe billions. Thereafter, global warfare reigns supreme. Life turns sour. No Hollywood film has ever captured the essence of the shockingly appalling scenario that unfolds, but the TV series The Walking Dead sure seems close. Do films reflect future society? Methane (CH4) is much worse than carbon dioxide (CO2). There’s no comparison. CH4 cooks the climate at least 10 times faster (actually much faster during its initial years) than CO2. The fact is that when too much carbon (oil, gas, and coal) is removed from the ground and emitted into the atmosphere, e.g., gasoline-powered cars, the planet turns into an oven, like our sister planet Venus where surface temperatures can hit up to 1300°F. That’s hot! Why so hot? The answer is that 95% of Venus’s atmosphere consists of greenhouse gases which acts like a blanket, trapping heat on the planet, whereas Mercury, which is closer to the sun, is cooler. Its atmosphere is not loaded up with carbon. Hello Earthlings, you’ve got incipient global warming. It’s not fake! Alarmingly, it’s probably progressed beyond “incipient” at certain latitudes. Batten down the hatches. I am now back in Palestine. It is very hot and we had power outages (caused death of many of our fish in the aquaponic systems). My tour in the US was very successful though tiring. I spoke in 7 cities in six states in 15 days. I spent much time at airports (with extra scrutiny) and gave over 25 talks and held over 30 other meetings. I met many wonderful people and visited related natural history museums and academics in Denver, Albuquerque, Austin, Houston, New Orleans, Raleigh, and Washington DC. I and the small museum team of staff and volunteers are really thankful to all who helped and who met with me and all who attended talks and/or donated. We also raised about $20,000 for the museum and institute of biodiversity and sustainability. If you have not donated, we could use your support (go to https://www.palestinenature.org/support-us/donate/ ). My 20 minute presentation and the really good Q&A at the North Carolina Museum of Natural Sciences. Again thanks to all who supported us and we welcome further support to serve Palestine, humanity and nature. Good news from Canada, as the Canadian government has agreed to pay $10.5m (about $9m in US currency) to former Guantánamo prisoner — and former child prisoner — Omar Khadr, who launched his suit against the Canadian government in 2014, after his return to Canada (in September 2012, after ten years in Guantánamo), but before he was freed on bail — in May 2015. Disgracefully, the news has been greeted with a tirade of abuse — a deplorable state of affairs that I first noticed ten years ago, when I first starting publishing articles about Khadr (nearly 100 published to date), and that particularly came to my notice in the summer of 2008, after videotapes were released of Khadr, then 16, breaking down when interrogated by Canadian agents who visited him at Guantánamo, and who, he mistakenly thought, would help him. Check out some of the comments under my article if you want to see the kind of disgraceful comments that were being made at the time, and that continue to this day. And yet the critics have absolutely no basis for their complaints, as Khadr was not only shamefully abused by the US authorities; he also had his rights violated by his own government, as Canada’s Supreme Court established in 2010. “Technically, the Canadian government is entitled to imprison him for another five years and ten months, according to a plea deal Khadr agreed to in October 2010. Under the terms of that deal, he received an eight-year sentence for his role in a firefight in Afghanistan that led to his capture in July 2002, with one year to be served in Guantánamo and seven more in Canada. “Notoriously, however, the Canadian government dragged its heels securing his return, which only happened at the end of September last year, instead of in November 2011. 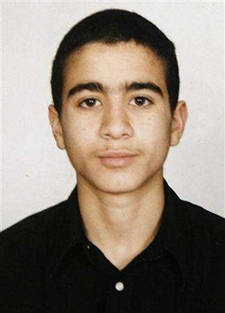 This was typical, given that, throughout Khadr’s detention, his government ignored its obligations to demand his rehabilitation under the Optional Protocol to the UN Convention on the Rights of the Child on the involvement of children in armed conflict, to which both the US and Canada are signatories, as did his US captors. “Conservatives should also be aware of their own precedent for such compensation: it was Stephen Harper’s government that agreed to pay $10 million to Maher Arar in 2007, acknowledging the Canadian government’s actions may have led to his torture by Syrian officials in 2002. 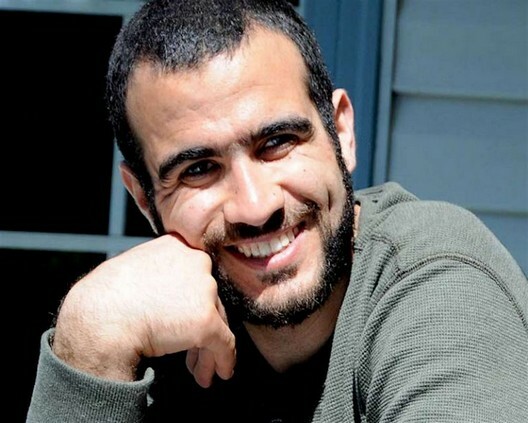 “Well once again for Omar Khadr, in the face of all the hate. He was a child. 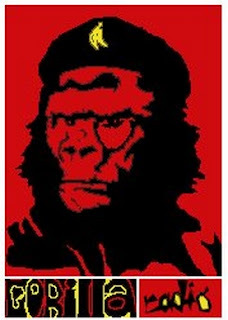 At the very very least he was a child soldier but he might not even have been that. There is no reliable proof that he hurt anyone and very reliable truth that he was captured, deliberately injured and not given adequate medical care, illegally detained, illegally tried and tortured. Andy Worthington is a freelance investigative journalist, activist, author, photographer, film-maker and singer-songwriter (the lead singer and main songwriter for the London-based band The Four Fathers, whose music is available via Bandcamp. He is the co-founder of the Close Guantánamo campaign (and the Countdown to Close Guantánamo initiative, launched in January 2016), the co-director of We Stand With Shaker, which called for the release from Guantánamo of Shaker Aamer, the last British resident in the prison (finally freed on October 30, 2015), and the author of The Guantánamo Files: The Stories of the 774 Detainees in America’s Illegal Prison (published by Pluto Press, distributed by the University of Chicago Press in the US, and available from Amazon, including a Kindle edition — click on the following for the US and the UK) and of two other books: Stonehenge: Celebration and Subversion and The Battle of the Beanfield. He is also the co-director (with Polly Nash) of the documentary film, “Outside the Law: Stories from Guantánamo” (available on DVD here — or here for the US). On April 5, 2017, National Geographic released a preview of its film, Hell on Earth: The Fall Of Syria And The Rise of ISIS, by filmmaker Sebastian Junger and producing partner Nick Quested. The film itself debuted April 26, 2017, at the Tribeca Film Festival in New York and National Geographic channel June 11. Junger and Quested persuaded NG to release the preview early, following the suspected chemical attacks in Syria on April 4. There are, unfortunately, several problems with the footage in both the preview and the film, as well as with the claims made by the filmmakers and National Geographic. The most glaring of these is that the opening scene of the trailer is a total fraud. The scene shows a missile destroying a residential building with a thunderous explosion. Imposed over the footage are the words, ALEPPO, SYRIA. The clear implication is that the missile is part of a Russian or Syrian Air Force attack in the battle for Aleppo. But how would the videographer have known where to position the camera in preparation for such an attack? Surprisingly, there is a logical answer to this question, because there are, in fact, circumstances where victims are told in advance the location and time of a missile strike. Such a location is Gaza, and the time is when Israeli soldiers call the inhabitants of a house by phone and tell them to get out in 15 minutes or be blown up. 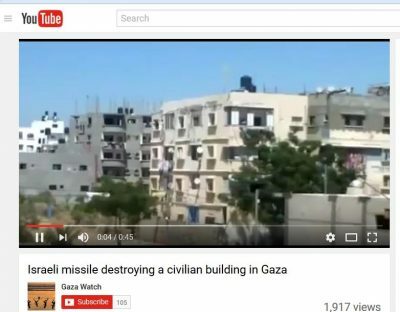 That is enough time for a neighbor to film the event, and, in fact, it has been done on multiple occasions in Gaza, such as here, here, here, here, here and here. 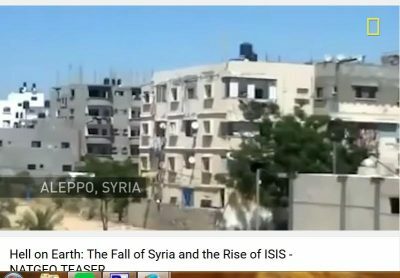 The use of this footage in the National Geographic preview, falsely labeling the location as Aleppo and implicating the Syrian or Russian Air Force in the destruction, is therefore a shameless and utter fraud. The second discrepancy is that, according to the filmmakers, the footage in the preview is from the feature film. That may have been true on April 5, when the public had not yet seen the full film, but at some point, someone must have brought the fraudulent footage to the attention of National Geographic, so that they could replace it with a new opening footage. When did this happen? Was it before the debut on April 26, or later? It would be good to know. But the reaction of the filmmakers is disappointing in the extreme. When faced with proof positive that their film contained a blatant fraud, did no one question the extent to which the entire film might be filled with fraud? Anyone who would so obviously falsify would hardly limit it to a single segment. The footage was clearly chosen for its effect, not its accuracy, and its quiet removal is more a cover-up than a correction. To what extent, for example, are the rescue portions of the preview and film, featuring the White Helmets, also fraud? Respected US Marine intelligence officer and UN weapons inspector Scott Ritter is convinced that the White Helmets are incompetent in rescue operations, and that their videos are fabrications. Recognized documentary filmmaker John Pilger has called them a “complete propaganda construct”. On occasion, the White Helmets have even been forced to admit the same. To what extent is the featured family merely acting out the events portrayed and not actually living them? To what extent is it all contrived? These are questions that deserve investigation. More important, how true is the reality that the film tries to portray, whether simulated or not (although if simulated, the filmmakers should say so for the sake of their own integrity, rather than pretending it is genuine)? The fact is that although half the Syrian population has been displaced by war, the majority have never left Syria. When displaced, they have almost invariably left the areas taken over by “rebels” in order to seek refuge in government controlled areas. Why? Is it because the Syrian government; i.e., the “despised” Bashar al-Assad – despite the disastrous economy and in cooperation with Syrian civil organizations – is somehow housing, feeding, clothing, educating and providing health care to these Syrian citizens? In fact, the United Nations High Commission on Refugees reports that, with the Syrian government reasserting its authority in recovered areas of the country, more than 440,000 displaced persons have returned to their homes. The film also fails to mention that thousands of “rebel” fighters have laid down their arms, accepted Syrian government amnesty and been allowed to return to their homes. It further omits that the US and its allies could have stopped ISIS by merely denying them funding and arms. Russia was the one that largely put an end to the trafficking of stolen Syrian oil, by bombing the massive convoys of trucks across the Turkish border. No mention of that in the film. The US has avoided serious actions against ISIS and al-Qaeda, and treated them as useful hit men in order to destroy the Syrian military. This made us enablers of the terrorists rather than their eliminators. As for the filmmakers, the New Yorker reports that “[they] couldn’t get into Syria, so …[the film] was shot by Middle Eastern news outfits, and by activists, witnesses, and citizen journalists.” This is reflected in the credits, which include the Aleppo Media Center, Daryaa [sic] Media Center, Halab News Network and Sham News. These are all affiliates of the White Helmets, which in turn is the front organization for the al-Qaeda affiliate in Syria, variously called Jabhat al-Nusra, Jabha Fateh al-Sham and Hayat Tahrir al-Sham. Their lavish funding comes from France, the UK, the US, Qatar and other countries. There is no evidence that any of the footage has been authenticated by the filmmakers themselves, and every reason to think that it has not. It’s not that the film is totally inaccurate or that it does not do a service by revealing the suffering of refugees. It does. But it also perpetuates the worst western myths about the war, which are feeding a continuation of the suffering and the conflict. The US and its allies are the prime cause of the conflict, not the solution. US policy makers see the destruction of Syria as a positive thing, much as they do Iraq and Libya, and US efforts are directed toward destruction and control, not toward resolution and reconciliation. If the filmmakers were honest, they would take the evidence of fraud as a sign that they need to review all the footage in the film that they have not authenticated and over which they have not exercised control. Otherwise, they run the risk of being labeled as propagandists and permanently damaging or ruining their credibility as documentary filmmakers. Read other articles by Paul. “The US is setting up its military bases in the territories that were liberated from Daesh by our fighters during the fight against terrorism,” ~ Senior Representative of the US armed, proxy, SDF forces. With very little fanfare from the western media, the US is quietly creating a hostile military footprint inside Syria. By establishing a chain of airbases, military outposts and missile bases inside Syria, the US is illegally, stealth-occupying a sovereign nation. The number of US military installations in Syria has increased to eight bases according to recent reports, and possibly nine according to one other military analyst. We should also not forget the malevolent presence of Israel in the criminally annexed southern Syrian territory of the Golan Heights. This could just as easily be included in the list of US military outposts inside Syria. Two regional intelligence sources disclosed mid-June that the US military moved a new truck-mounted, long-range rocket launcher from Jordan to a US base in al-Tanf in Southeastern Homs, near the Iraqi and Jordanian borders, stepping up its presence in the area. The sources said the (High Mobility Artillery Rocket Systems – HIMARS) had moved into the desert garrison, which saw a buildup in recent weeks as tensions escalate after the US-led coalition struck positions of the Syrian forces to prevent them advancing toward the al-Tanf base. 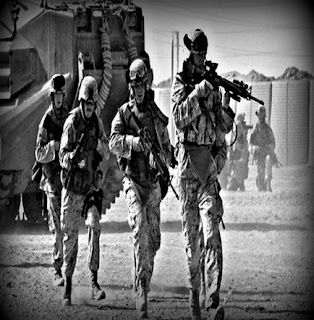 “They have arrived now in al-Tanf and they are a significant boost to the US military presence there,” one senior intelligence source said, without elaborating. “The HIMARS had already been deployed in Northern Syria with US-backed forces battling ISIL militants”, he added. “The US has set up two airports in Hasaka, one airport in Qamishli, two airports in al-Malekiyeh (Dirik), and one more airport in Tal Abyadh at border with Turkey in addition to a military squad center in the town of Manbij in Northeastern Aleppo,” Hamou said. In March 2016, a Reuters report also discussed the US establishment of military air-bases in North East Syria, in Hasaka and in Northern Syria, in Kobani. Both areas that are controlled by Kurdish forces, maintained by the US, and championed by Israel in their bid for statehood and independence from Sryia which would inevitably entail the annexing of Syrian territory. US CENTCOM were quick to deny such a blatant violation of International law with familiar doublespeak that left room for the interpretation that the US was indeed preparing to empower its Kurdish proxies in their bid for “independence”, as well as Washington’s continued policy of arming and training various Sunni “rebel” fighters, many of whom are linked to Takfiri groups and terrorist groups including Al Nusra (al Qaeda in Syria). Airmen from the 621st Contingency Response Group have been deployed to modify and “expand” the Kobani airbase, with the stated intention of supporting anti-ISIS coalitions on the ground in Syria. The fundamental flaw with US Coalitions is that they do not include the Syrian Arab Army, Russia and their allies who have been systematically fighting ISIS & NATO state extremists, since the start of the externally waged war against Syria. On the 18th June, the US downed a Syrian fighter jet, on an anti-ISIS mission. The Syrian jet was brought down in Rasafah, in the southern Raqqa countryside. The “flagrant attack was an attempt to undermine the efforts of the army as the only effective force capable with its allies … in fighting terrorism across its territory”, the statement said. “This comes at a time when the Syrian army and its allies were making clear advances in fighting the [Islamic State] terrorist group.” ~ Syrian Arab Army statement. US Airforce illustration showing how the Contingency Response Group operates. 29th June: Eight civilians were killed and others were injured in a new massacre committed by the aircrafts of the US-led international coalition on al-Sour town in northern Deir Ezzor. Situation in Syria at end of June 2017.
the internationally recognised Syrian government. In the North, we can speculate that the US is trying to create optimum conditions for an autonomous Kurdish region and the eventual partitioning of Syria, following the already skewed US road map. According to Gevorg Mirzayan, Associate Professor of Political Science at Russia’s Finance University, Kurds control 20% of Syrian territory, when ISIS is defeated the likelihood is that they will want to declare a “sovereign” state. This would play into, not only US, but primarily Israel’s hands. The US is relentlessly flaunting international law, as it has throughout this protracted conflict – it has established, inside Syria, almost as many bases as it has set up in its regional, rogue state allies, Saudi Arabia and Israel. Syria, a country that the US has been punishing for over six years, via economic, media and militant terrorism. The lawlessness of the US hegemon has now reached epic proportions and threatens to engulf Syria and the region in sectarian conflict for a while yet thanks to its machiavellian meddling in a sovereign nation’s affairs on almost every front. The US has consistently underestimated its foe and apparently failed to factor in the Russian military capability. On wednesday,Russian Tu-95MS strategic bombers struck ISIS targets in Syria with X-101 cruise missiles, as reported by South Front. “The strike was made from the range of about 1,000 kilometers. The Tu-95MS bombers took off from an airfield in Russia.” The US is out of its depth in Syria and no amount of proxies are going to change that fact, it remains to be seen to what extent the US will further bury itself in a swamp of its own making before it concedes defeat to the steadfastness of the Syrian people, the Sryian Arab Army and the Syrian state. “What Planet Earth, and the creatures thereon, need more than anything is leaders in the West who are intelligent, who have a moral conscience, who respect truth, and who are are capable of understanding the limits to their power. 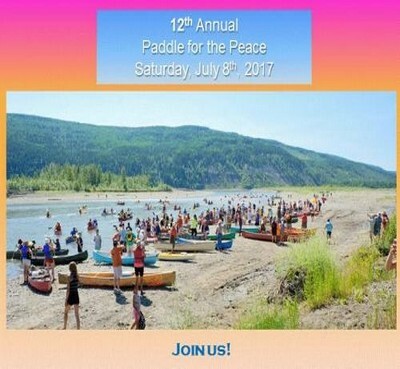 Join friends up north at the 12th Annual Paddle for the Peace to celebrate and defend the beautiful Peace River from the proposed Site C dam. For people in the Lower Mainland who cannot make it north to the Peace Valley - don’t worry - there is a Paddle for the Peace Solidarity event right here in Vancouver. You are invited to come on out with your friends and family to show your solidarity with the Treaty 8 First Nations, farmers, residents and wildlife who risk losing their land to the Site C dam. You can show your opposition to a project that would skyrocket our hydro bills and damage our food security for years to come. People will gather on July 8 at 1:00 pm at Vanier Park in Vancouver to stand in opposition to the destructive Site C dam project and enjoy a fun, family-friendly carnival themed afternoon of entertainment. Helen Knott, a remarkable poet and activist from Prophet River First Nation, is the featured speaker. Don’t miss this rare chance to hear her speak in Vancouver! Bring your own “Stop Site C dam” banners and signs! In addition to the carnival, the BC Sea Wolves will lead a symbolic paddle from the Granville Island public docks to the carnival at Vanier Park. If you would like to join the paddle, please be prepared to launch from Granville Island at 12:00 pm sharp. You can rent kayaks from Ecomarine Paddlesports. Please note that only experienced paddlers should join this paddle, as we can not guarantee your safety on the water.